I wanted to show you these cute Beetlejuice keyrings. They're a pre-order on eBay because San Diego Comic-Con doesn't start until July 20. 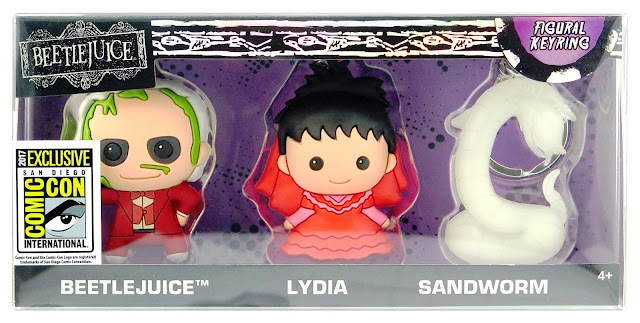 This exclusive set comes with Beetlejuice, Lydia and Sandworm key rings. Only 300 will be produced and sold!